For more than a quarter century Amels has been a recognized world leader in fine custom yacht building. It began in 1918 building rugged fishing trawlers, but turned exclusively to yachtbuilding after 1982, with the launch of 48.50-meter Katalina. In 1991 Amels joined the Damen Shipyards Group, the only yachtbuilder among more than 39 quality-oriented shipyards. Now, with the global success of its “Limited Editions” program, Amels has become a world leader in semi-custom building. 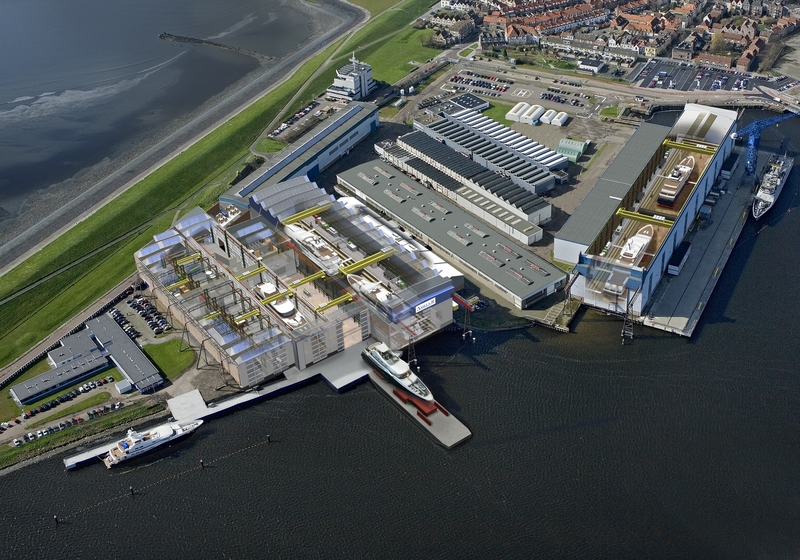 Amels shares modern facilities in Vlissingen on the North Sea, as well as design and engineering disciplines, with Damen’s Royal Schelde Shipyard. Schelde, since 1875, has built some 400 cutting-edge commercial and naval ships. Amels’ facilities include extensive office space, two large covered drydocks, and two covered finishing bays where yachts up to 200 meters can be completed, and where Amels also performs major refits on yachts of its own construction and that of other builders.